Tomorrow is the last day of the Blog Party, so I think it's time to start saying thank you. Thanks to all of you who participated in the blog party. I hope you had as much fun as I did! Thanks to all the new friends who subscribed to my blog and thanks to all of you who just stopped to say kind warm words! Thanks for all the love and support, you really moved me! Every holiday has to have a proper holiday meal. You know, the big family meal with all the good food, the same jokes and the nagging aunt… I always like to set a really beautiful, festive table and in order to avoid problems; I make name cards, so everyone will know where to sit. 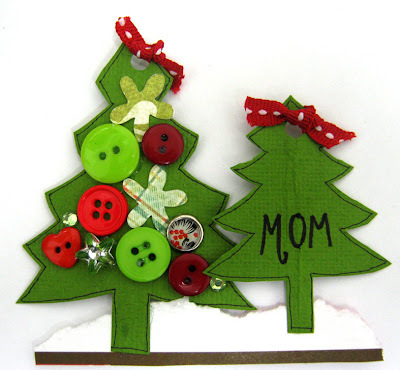 This is a very easy to make name card – just cut two trees from a green scrap of paper, embellish them and add a name. Then adhere the trees to a piece of white cardstock to create a snowy forest scene. 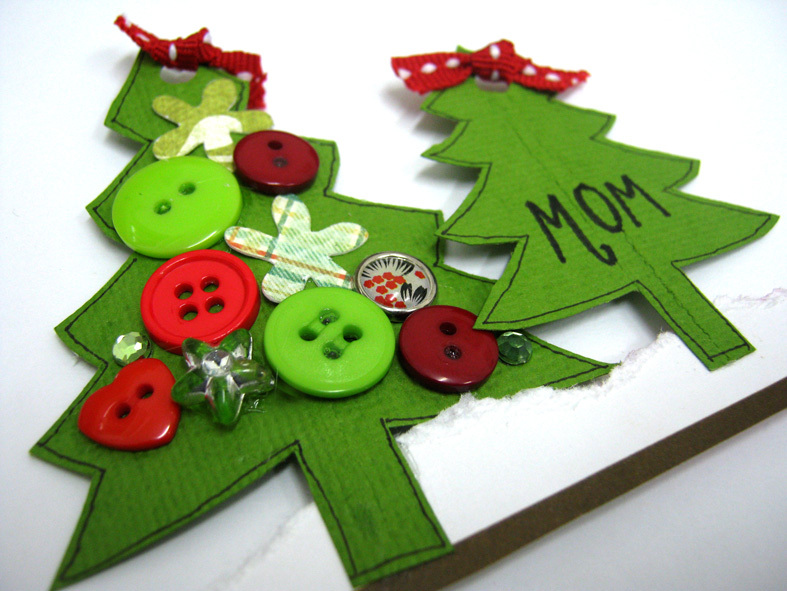 Day 9 Mission: (if you choose to accept it) is to write a holiday blessing to someone you love. It can be a family member, a friend or even someone you don't know personally but would like to bless him. Post it on your blog, on FB, on message boards, anywhere on line you want with a link to the Blog Party. Then go back to my blog and write a comment with a link to your post. Day 9 giveaway: today's winner will get stickles, micro beads and glitter. 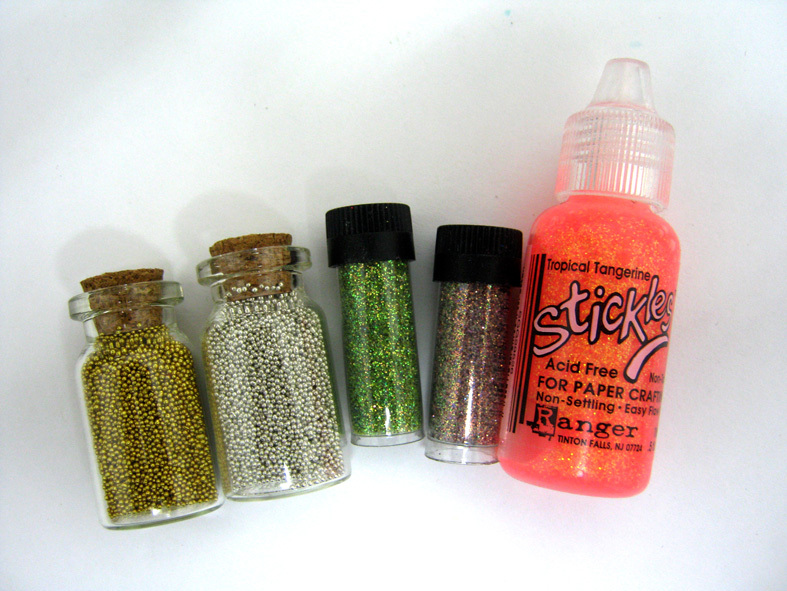 Just what you need to add some bling and shimmer to your holiday projects. What a fun sparkly prize! Thanks for a chance to win! Einat - what a cute name tag. And the giveaway today is so great. Thank you!! 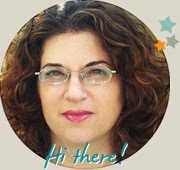 Oh - wow, Einat - that name place holder is SO cute!! Thanks for sharing it! I sent a holiday blessing to an online friend who always inspires me and is super super sweet with a huge heart. http://twitter.com/#!/JenClark74/status/146003559496957952 Just wanted to thank you again for inviting me to your blog party! Darling! This could be used on a greeting card. I like that only one tree has the buttons!